My friends ask how can I travel the world with only a small amount of points, your answer is Priority Club Point Break List. 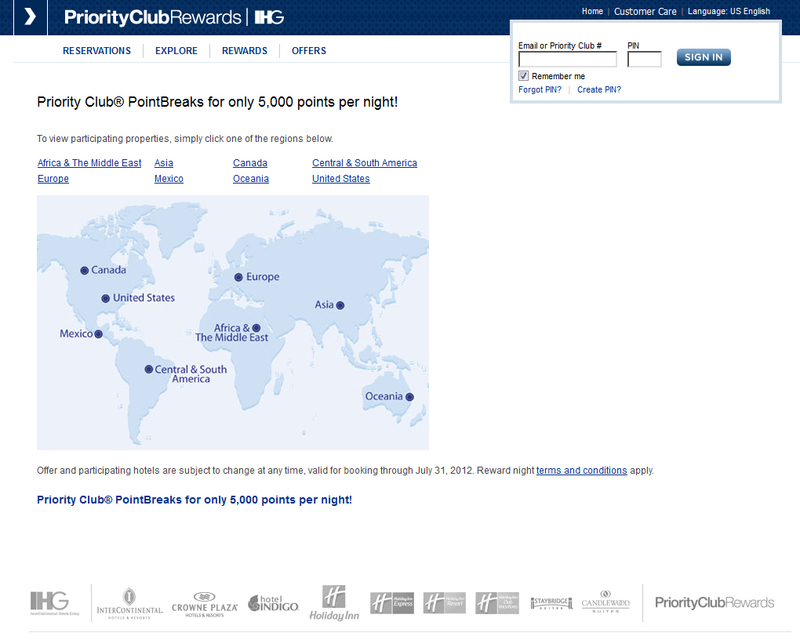 Every two months Priority Club comes out with a list of hotels that you can stay at for only 5,000 points. This is amazing deal! For those that don't know which hotels make up Priority Club it is- InterContinental, Hotel Indigo, Crowne Plaza, Holiday Inn, Holiday Inn Express, Staybridge, Candlewood Suites. Every two months this list changes and it is divided into 8 regional categories. Check it out and start planning that once in a life-time trip. Some International locations worth noting this round are Holiday Inn Ching Mai,Thailand, Crown Plaza Hotel in Istanbul Turkey. Some Domestic locations worth noting are Crown Plaza Hotel in Jacksonville FL, Crowne Plaza Hotel in Chicago Northbrook. There is even one in my home state of Wisconsin- Holiday Inn Manitowoc. These hotels are available for a limit time and will sell out so book as soon as you can! Enjoy searching and let me know if you end up booking one of these great deals! Logos, Twitter & Gmail Oh My!